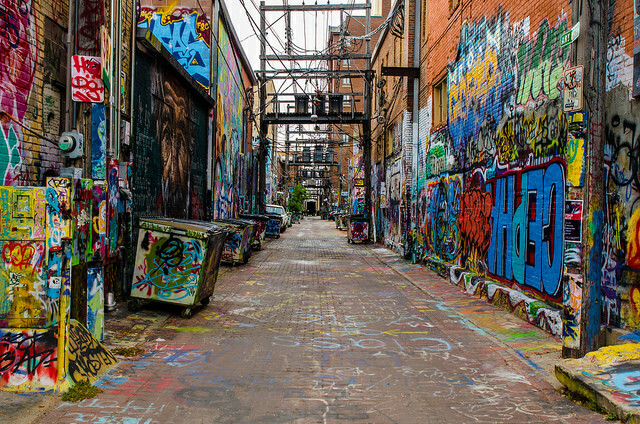 "An alley of art. Who would have thought something so simple could bring so many people downtown." 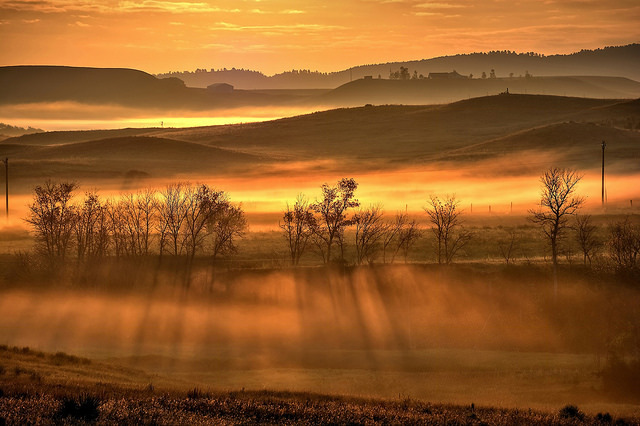 "The just risen sun meets ground fog along Chicken Creek Road just west of Spearfish." 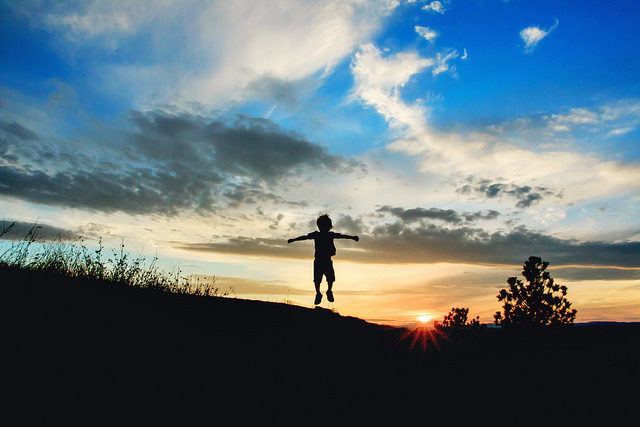 "Skyline Drive, Rapid City - Our family is loves to share the joy we feel when we see a beautiful South Dakota sunset." "The old barn with the butte always reminds me of home and coming home. On the bus, I would pass by it on my trek home from school. Every time I would look behind to catch Bear Butte rising behind the old barn. Some days it was beautiful, some days it was magnificent, and other days it was downright gorgeous. Every day produced something unique and different. 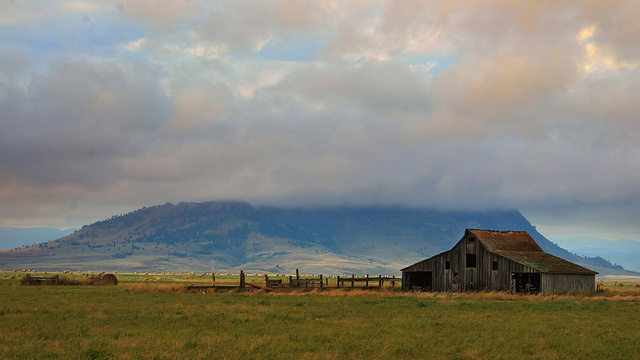 On this day, the old barn and Bear Butte have a mysterious look. The thick cloud bank is hiding Bear Butte giving it an eerie glow." 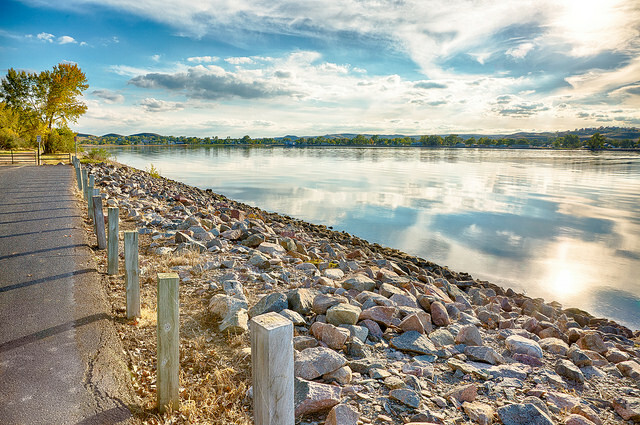 "On the causeway to LaFramboise Island in Pierre. Was out doing some family photos for a friend, loved the clouds and still water, so used the time to snap this shot facing west. For some, the river really means home. Boat rides, beach picnics, or my favorite, Zesto lunch on the causeway." 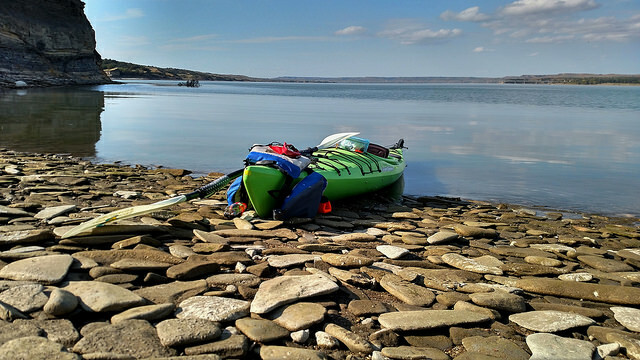 "I always feel at home while kayaking on Lake Francis Case, and exploring the never ending, always changing shoreline. The bridge in the background is the Hwy. 44 bridge known as the "Platte-Winner" bridge." 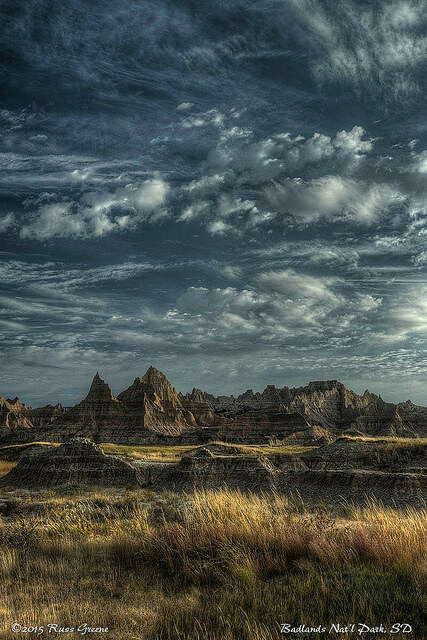 "This past year I worked up at The South Dakota State Railroad Museum, which is right next to the 1880 Train. I had never thought much about trains until this job; over the past months I have gained a huge appreciation for them and our State's railroad history. In this image Scott is coupling the #110 to the cars and preparing for the 1:15pm HIll City departure on Saturday October 3rd, 2015." 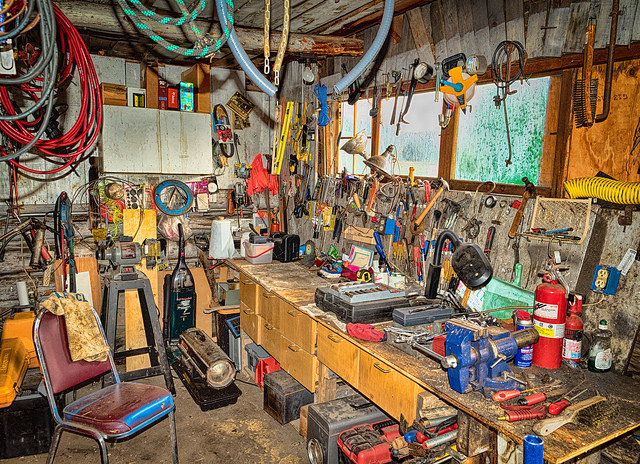 "This cozy workshop sits on our small ranch in the Black Hills. Many hours have been spent here, the work made easy by the easy access to the necessary tools, parts, and other odds and ends." "The bean dust that has everyone sneezing!! 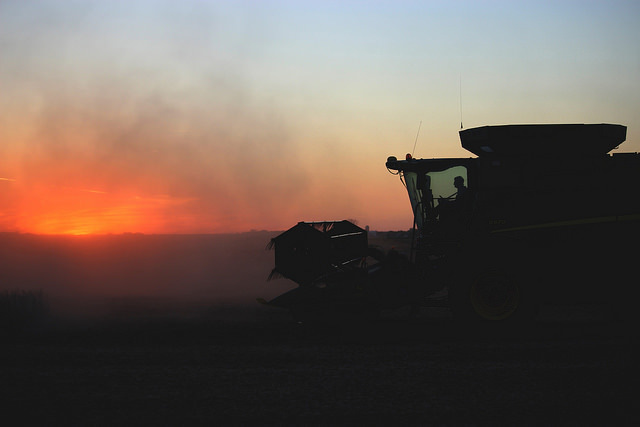 But Thank God for Farmers and the hard work they do!" 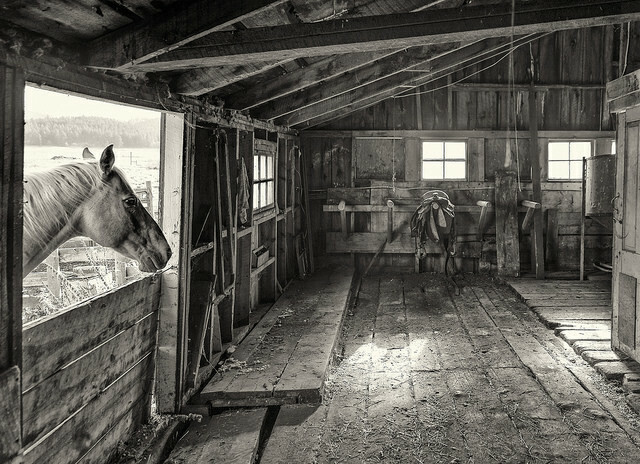 "Our curious horse Dandy peeking into the barn shortly after the door was opened. He's definitely a people horse." 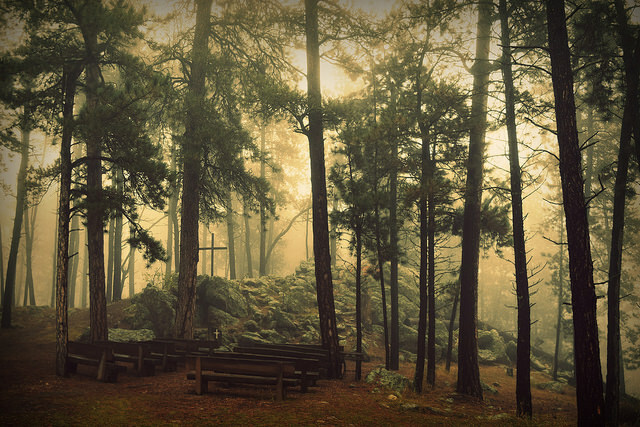 "Taken at the Blue Bell Lodge Church in Custer State Park." 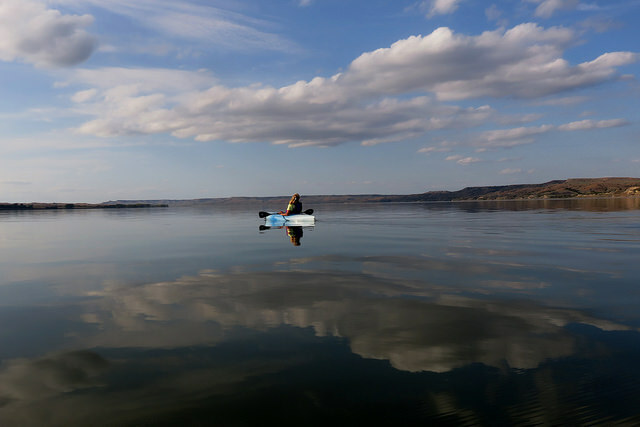 "Where better to connect with nature than on a calm lake (Lake Francis Case) on a beautiful fall day?"